The old one is gone! Long live the new one! #Background-Image 1: het oude Volkskrantgebouw aan de Wibautstraat 150. 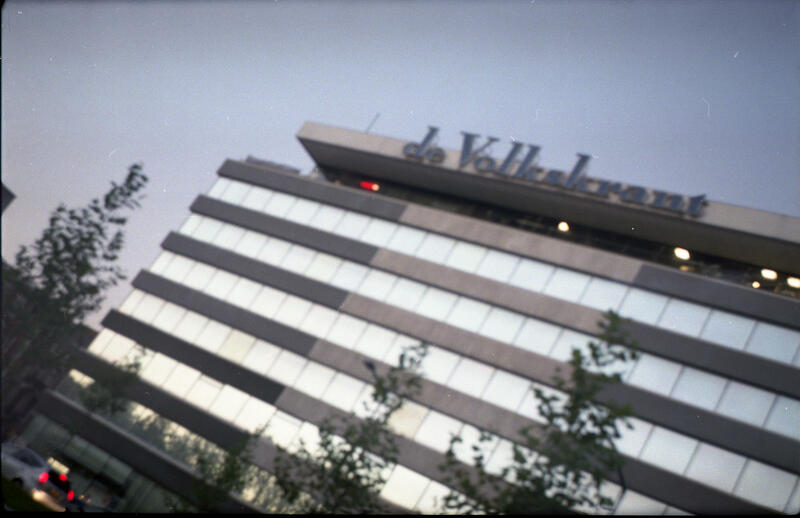 The previous background image, shot with an Agfa Record II camera and obviously out of focus, shows the building where my office is bureau stands these days. The focus problem turned out to be my fault: I removed the lens and screwed it back in again. But there are two ways of doing that. This was the wrong way obviously. Of course it took me two rolls of film to discover what was wrong.